Believe you don't have to leave home to go far. Online programs in cutting-edge healthcare careers to get you working in the field in one year or less. Are you looking to take the first step into a new healthcare career? You may feel that you have hit a financial standstill or that you want a more exciting career, but are tied to your full-time job, because, like many, you have a family that depends on you. Preparing to go back to school after a long time in the workforce can be an overwhelming thought, especially for adult students, but traditional four-year degrees are not the only option when considering changing your career. There are many lucrative healthcare career options that only require a certificate level education to begin. Labouré College, the longest educator of nurses in Boston, offers accredited healthcare career programs, delivered 100% online, that will open the doors to achieving a new career in one year. you deserve, every step of the way. Labouré College is accredited by the New England Commission of Higher Education (NECHE) (formerly the Commission on Institutions of Higher Education of the New England Association of Schools and Colleges, Inc.). Additionally, each of the College’s healthcare programs is approved by a discipline-specific, specialized accrediting body. Most of our online programs can be completed within one year, over two to three semesters (e.g. Fall, Spring, Summer). Many students are balancing school with work and family commitments and decide to take their courses at a slower rate. All students are encouraged to create a course schedule that will fit their lifestyle. Our advisors are here to help you navigate your way to graduation. Our courses are delivered 100% online to provide specialized, high-quality healthcare education to students and healthcare professionals across the country. Though you are taking your courses online, you are treated just like an "on-campus" student with access to all of our resources to help you succeed. A CDI professional represents healthcare services through complete and accurate reporting of diagnoses and procedures. This Certificate program is offered 100% online. The program includes (4) courses and can be completed in less than one year. Intraoperative Neuromonitorists are a patient's guardian angel in the operating room. 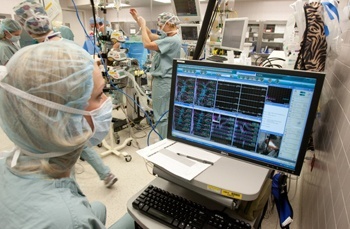 Neuromonitorists observe a patient's brain activity and vital signs while they are under anesthesia and can alert the surgeon to any potential warning signs during surgery. This program is (2) semesters online, with clinical training scheduled near your home. This program also requires three Saturday on-campus meetings in Milton. A Neurodiagnostic Technologist (NDT) monitors on-going electrical activity of the brain, spinal cord and peripheral nervous system. A NDT technologist may perform a variety of procedures while working closely with patients, doctors and other members of the health care team. This program is (3) semesters online, with clinical training scheduled near your home. 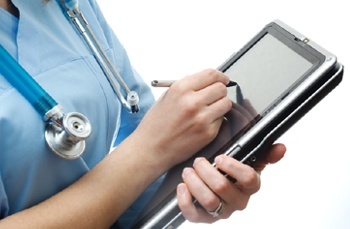 Medical coders convert medical records into code for billing and insurance purposes. Medical coders can work from home or on-site at hospitals, doctors' offices, insurance agencies, etc. The demand for coders is increasing and predicted to grow through 2020. The program is offered 100% online and can be completed in one year. 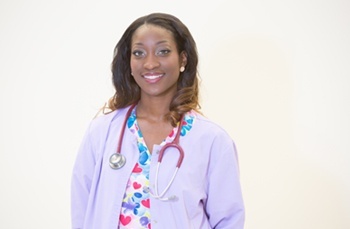 Labouré College's online RN-BSN program was designed for you - the working nurse - to be flexible, affordable, and accelerated. With 7-week courses and a variety of start dates, you can finish your degree on your schedule. Program can be completed in 16 months. Completed coursework in the past? Transfer in up to 90 credits and finish even faster! Will this help me get a better job? Students who take online classes are more likely to take classes to continue their education and/or update their professional skills. Both reasons will help you get a better job! Because online courses have message boards and other collaboration tools, there are lots of opportunities to discuss your work and make connections with students, wherever they live. This provides varying insights and perspectives, in addition to developing the personal and profession connections which can help you get a better job. Good computer skills and access to an up-to-date computer and high-speed Internet connection are imperative for college courses whether they are traditional, hybrid, or online. The following are minimum hardware and software requirements which may change over time because of advances and/or college upgrades in software and hardware technology. What computer skills do I have to have to be successful in an online program? Knowledge of terminology, such as browser, application, search engines, files, viruses, etc. Internet skills (connecting, accessing, using browsers) and ability to perform online research using various search engines. Ability to use online communication tools, such as email (create, send, receive, reply, print, send/receive attachments), discussion boards (read, search, post, reply, follow threads), and chats. How will I communicate with my professors? Many professors find they know their online students better than their face-to-face students because of the social dimension of online learning. Students also find that online classes provide more personalized attention. You can look forward to dynamic communication between professors and students as daily and weekly classroom and community ties are encouraged within the online environment. Frequent and personal communication, including discussion boards and live “Online Meeting” classes and chats, will create a bond essential to your success. Professors also use weekly announcements and assignment feedback to further ensure access to the professor’s daily presence and availability to support classroom instruction. What if I need help with (registering, financial aid, paying my bill, etc.)? Whether you have questions regarding financial aid, paying your bill, or registering for classes, members of the One-Stop Service Center are available to answer online students’ questions and help solve problems by email, phone, or using live real-time meeting technology tools. What if I have never taken an online course? Will I be successful? If you can answer “Yes” to the following questions, you are probably prepared to enroll and succeed in an online course. If you cannot respond “Yes” to all of these questions, you may want to consider enrolling in a hybrid course, which is a combination of an online and on-campus traditional course. When you need help, are you comfortable approaching a professor to ask for clarification? Are you comfortable with a self-learning environment? Do you have good time management skills? Will you be able to schedule your time effectively and to stay on task to complete assignments outside of class? Are you self-disciplined and self-motivated? Do you have the ability to read and follow written instructions? Do you have (or are you willing to obtain) access to the Web at home? Software installation, security, and virus protection? Do you have strong web browser/Internet skills (connecting, accessing, using browsers) and ability to perform online research using various search engines and library databases? Do you have the ability to use online communication tools, such as email (create, send, receive, reply, print, send/receive attachments), discussion boards (read, search, post, reply, follow threads), chats, and messengers? Do you have the equipment and software outlined in the section entitled: Student Hardware and Software Requirements? Will I work and collaborate with fellow students? Yes, students often collaborate more with fellow classmates in online classes than they would in a traditional classroom. Students are never isolated from classmates in online courses. You will have lots of opportunities to discuss your work and make connections with other students. In addition, you have control over when and the amount of time to work on your course and with classmates, because you can access course materials 24 hours a day, seven days a week. Course work and communication with your professor and classmates can be done around family and work schedules, and anywhere you have a laptop and/or Internet connection. If you are one of those students who finds it difficult to speak in class, you will like online classes because you can take your time to formulate your thoughts and share them with fellow students in ways the classroom environment does not allow. Who can help me with learning differences, tutoring, advising and career services? Online students have all the same college-wide support services as on-campus students. The Student Success Center (SSC) uses live real-time meeting technology tools to provide online students with opportunities to extend and deepen their classroom learning experiences. You will have real-time access to academic advising, academic coaching (focused on learning strategies), academic tutoring (focused on course content), basic skill strengthening (e.g., focused on Mathematics, Writing, or Critical Reading), career counseling, and/or short-term personal counseling. The SSC also offers specialized assistance to online students with learning differences, including advocacy, learning strategies, and, when appropriate, reasonable accommodations such as extended time on exams, note-taking assistance, enlarged print, and support in accessing digital audio texts, readers, and/or assistive technologies. Accessible on-campus and online, the SSC strives to be a warm and welcoming community of learners dedicated to fostering student growth and success. What is the time commitment for online courses? Online classes take as much time, or more time, as regular on-campus classes. You will need to set aside sufficient time for study, and plan to spend as much time working on the assignments as you would with a traditional course. The good news is you will save time travelling to and from campus. However, you will still have to follow the course schedule provided by the professor. Online classes are not independent study courses. Students are still required to "show up" and participate actively. “The most important aspect of my education at Labouré College was the personal attention, support, and encouragement I received every step of the way. This attention afforded me the confidence to become successful. 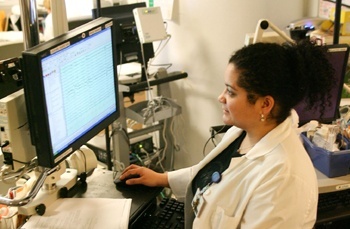 With a combination of high-quality theoretical classes and hands-on clinical experience, the Neurodiagnostic program at Labouré allowed me to learn and grow at such a level that I began working in the field less than one year into training and became a Chief Technologist at one of Boston's finest hospitals just four years after graduation. 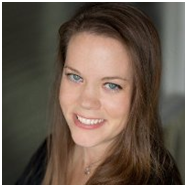 I am very grateful for my experience at Labouré because it provided me the opportunity to break into an exciting field and become a valued member of a healthcare team."